LED lighting uses light emitting diodes instead of a filament or discharge lamp to provide the light source. It is an electronic device which may use one higher power led on its own, or a cluster of lower power led’s in an array. l.e.d.’s are popular for the small size of light which can be made for garden and deck lighting applications. Their long life and low energy consumption makes them a practical choice where lighting is switched on regularly for long periods and low-energy sustainable garden lighting is required. They are typically electronic assemblies which are sealed inside a garden or outdoor light for life, or they are modules which have standard lamp pins to fit into garden lights with the same type of halogen lampholder. White led’s suit outlining around a deck and similar modern garden lighting settings where the crisp coolness of a white led provides a striking effect. Where the garden is more traditional and a mellow lighting effect is required or where led lighting is being mixed with halogen lighting in an area, using warm white led’s may be a better choice as they give a warmer colour of light more similar to halogen lamps. The downside is that warm white led’s are about a fifth less bright on average than equivalent white led’s. Led lamps are the equivalent of halogen reflector lamps which can be fitted to 12v MR11 or MR16 garden lights or 240v outdoor lights - just think of them as "led bulbs"!. They typically save up to 50-80% energy compared with halogen lamps and have an average life of 30,000-50,000 hours, so they do not require the same periodic replacement as halogen lamps do. Elipta’s low voltage led lamps provide high efficiency light output in a beam angle of about 35 degrees and can be powered from a 12v transformer which is at least 60% loaded to provide voltage regulation, or from a 12v dc power supply. They can be fitted at first installation or retrofitted later to reduce energy consumption (provided that the transformer is compatible in the case of 12v lamps.) 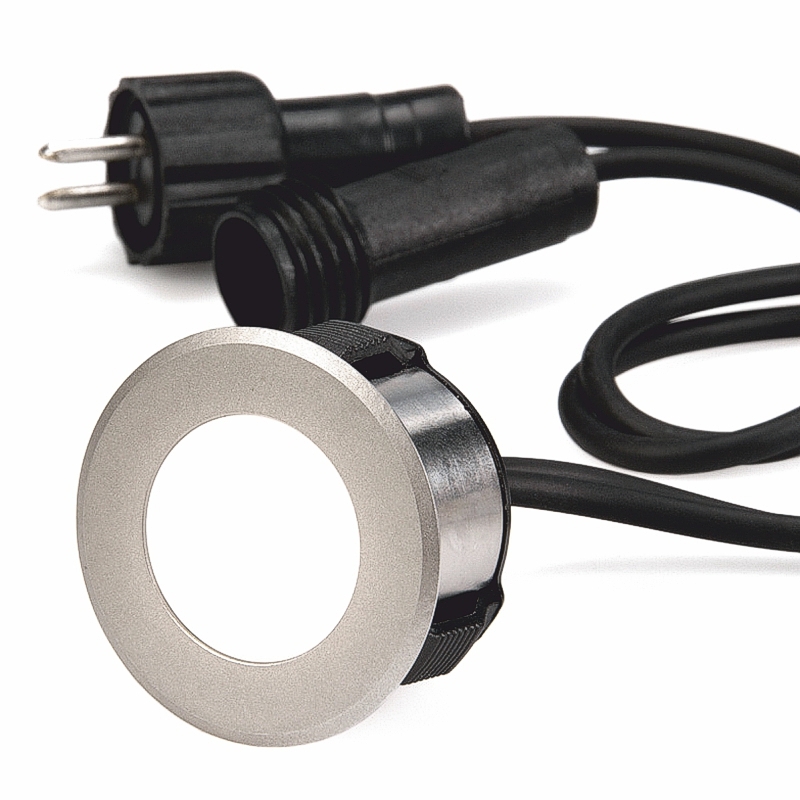 240v l.e.d lamps are also available as an alternative to 240v halogen spotlamps. While most of these led lamps are the same size as an equivalent halogen lamp, the higher power MR16 and GU10 lamps may be slightly larger and fit only in Elipta Compact spike spotlights and products such as PATILO's Corona spike- and Carina wall-mount spotlights which have been developed for this application. Always check the listing of lamps recommended for each fitting to avoid the risk of ordering a lamp which is too large. Combine aesthetic lighting with economic practicality, with our wide range of high performance, long life LED lamps designed for exterior lights. Choose from a wide selection of MR11 & MR16 low voltage outdoor LED lights; 30-60° beam angles, warm white to cool white, and varying levels of brightness/lumen outputs. For coloured lighting effects use clip-on, blue or red dichroic filters – perfect for adding drama to water features or bringing out the most in modern garden materials such as glass or stainless steel.